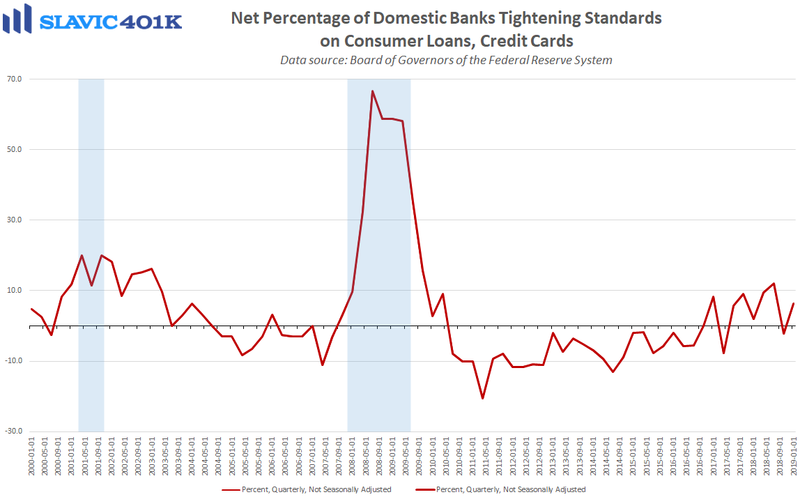 Americans’ borrowing activity has cooled recently, according to a new report from the Federal Reserve Board of Governors. 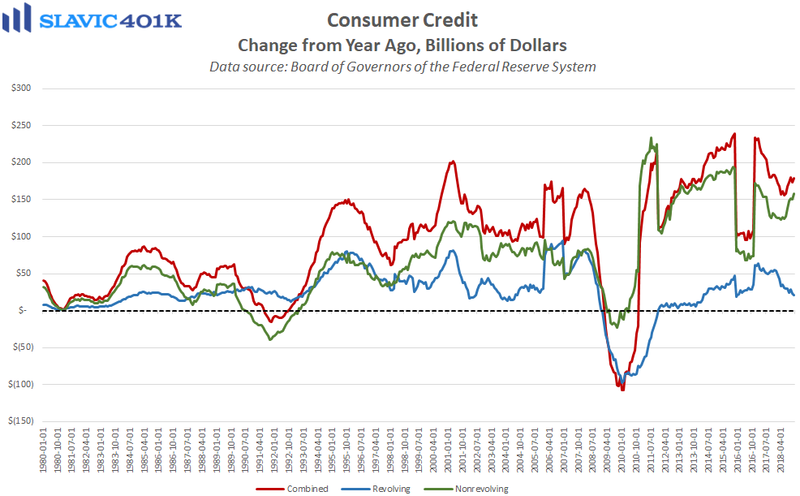 Specifically, total consumer credit outstanding rose by $16.55 billion in December (lagged release) to $4,010.05 billion. Although that was the first time in U.S. history that total consumer credit exceeded $4 trillion, it was also the smallest monthly gain since September and driven predominately by student and automobile loans. 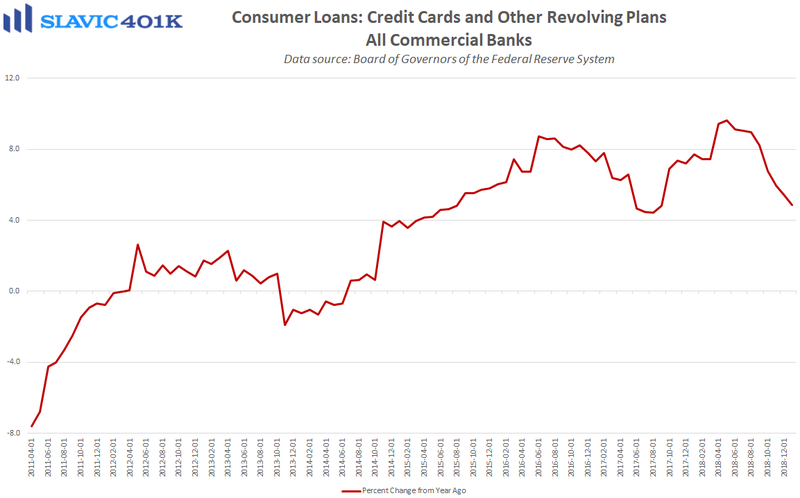 Moreover, non-revolving credit rose by $14.82 billion in December while revolving credit, which is mostly consumers’ credit cards, lifted by just $1.74 billion. 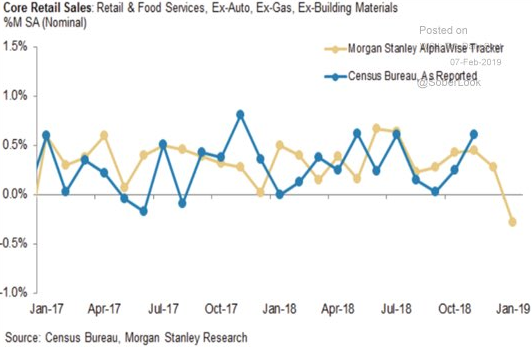 The revolving credit gain was the smallest December increase since 2012 and therefore provides more evidence that retail sales this past holiday shopping season will likely disappoint forecasts. Further, year-over-year growth ended 2018 at just 2.01 percent, the weakest reading in almost half a decade. 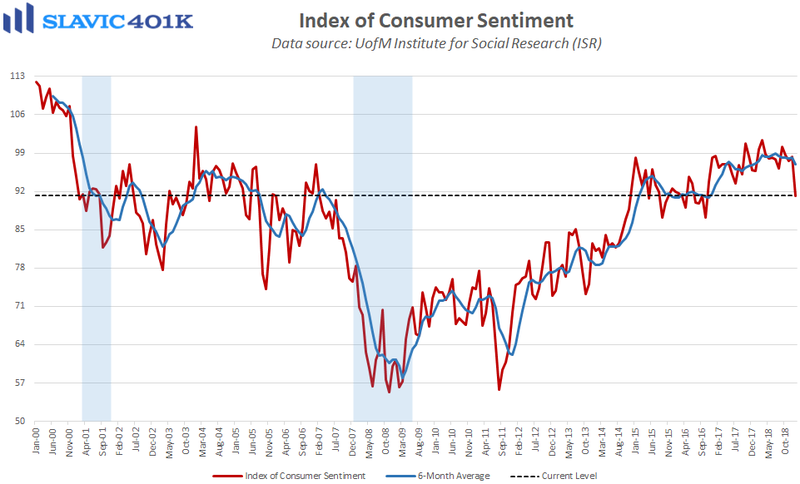 With banks’ lending standards still relatively loose, the latest slowdown in credit card utilization has likely been exacerbated by recent declines in consumer confidence. 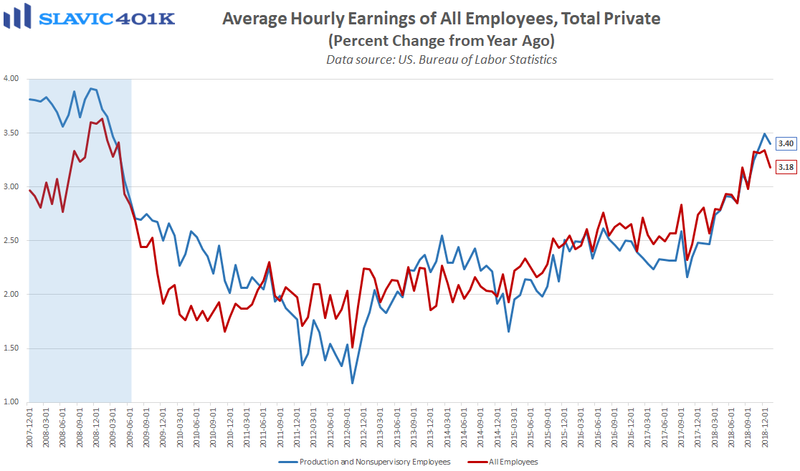 The personal saving rate, though, has also trended lower over the past year, which will only raise more doubts about the sustainability of consumer spending without a continued acceleration in wage growth.